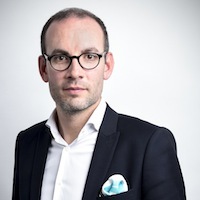 François-Louis Noel started working as a strategic planner at BBDO, then Landor Paris. He took part to the creation of M&CSAATCHI.GAD in Paris. He then co-founded M&CSAATCHI in Geneva as managing partner. He is now CEO at miind (strategy & content creation). François-Louis Noel has been Creative Effectiveness jury at Eurobest in 2015 and has won many international prizes with his creative partners such as Cannes Lions, ADC, LIA and New York Festivals.